Although they’re given human names, like Andrew, Maria and Jose, hurricanes can produce inhuman results. Simple elements like air and water, in the form of rain and wind, can wreak havoc beyond even the most pessimistic forecaster’s predictions. Hurricane Irma, which struck last year, was the most severe Atlantic hurricane on record, leaving 10 million without power and causing damages estimated in the $90-190 billion range. While no one can control Mother Nature, ABB has worked with a number of US utility partners to manage the potential damage a storm can cause and facilitate the speed of recovery in the aftermath. For utilities, the biggest issues when storms hit are power outages, which can cause enormous economic and societal consequences. Businesses can’t function, and homes are left in the dark. ABB technology has already helped mitigate these consequences in many recent examples. Hurricane Harvey, which hit the Houston area over the course of four days in 2017, was a category 4 hurricane that caused severe damage, estimated to be almost $125 billion. Flooding was widespread, and millions lost power. Thanks to ABB technology, however, local south Texas utility, CenterPoint, was able to restore power more quickly and cost-efficiently than ever before. CenterPoint’s system had been upgraded in 2008 after Hurricane Ike, to include ABB AbilityTM Network Manager advanced distribution management system for its 2.4 million metered customers. The system uses information from the customer’s advanced meters and field sensors to enable real-time grid monitoring and control and is integrated with ABB’s mobile workforce management software as well as an advanced outage analytics package. When the storm hit, CenterPoint was able to quickly identify, isolate and restore power quickly and efficiently. Advanced meters and data analytics provided immediate insight into the situation so the right crews with the right equipment could be sent to restore the outage. And, over time, as a result of the Advanced Metering System and Intelligent Grid technology, CenterPoint has seen a 23 percent improvement in power reliability and is able to identify outages 50-70 percent faster. 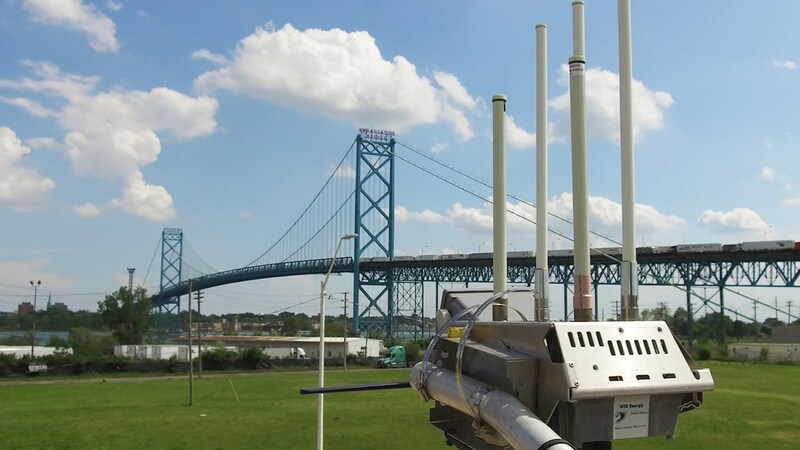 When severe storms downed power lines in the Detroit area, similar “smart” technology helped DTE Energy mitigate the damage. The storm included 70 mph winds that left 800,000 of DTE’s customers without power. The communication network’s self-healing wireless mesh technology, based on an ABB Ability solution, was able to work around downed pole lines to continually read the meters and provide additional data essential in pinpointing outages, making field deployment more efficient. Power was restored to more than 90 percent of customers within four days. To guard against such future events, ABB has also installed “weather-proofing” measures in other areas. In Northern Illinois, ComEd, a unit of Chicago-based Exelon Corporation, has installed ABB’s distribution and outage management systems, a software solution to mitigate the potential impact of outages for customers in northern Illinois. In 2012, Hurricane Sandy’s saltwater surge had resulted in massive flood damage in New York City, resulting in widespread power outages. ABB collaborated with leading energy utility Con Edison to complete a major upgrade of a key substation, where several conventional pieces of power equipment were replaced with digitally-enabled technology. The bulk power substation, among the largest of its kind in the US, supplies electricity to hundreds of thousands of customers in lower Manhattan. Con Edison also rebuilt its power infrastructure, including providing more protection for substations by reinforcing perimeter walls, gates and floodwalls. A new elevated design with a modular 420 kilovolts (kV) Plug and Switch System (PASS) hybrid switchgear was installed more than 35 feet (10 meters) above the original substation level, to further help avoid the normal path of super storms. These storm protection measures and grid resiliency features are expected to improve power reliability and mitigate outages. As part of the latest digital upgrade by ABB, some 80 percent of the copper control cabling has been rendered obsolete and has been replaced by fiber optic cables. More recently, in Washington DC, ABB is supplying gas-insulated switchgear (GIS) to strengthen the U.S. capital’s electrical network, part of the Capital Grid project that was awarded by Pepco Holdings, a member of the Exelon family of companies, a leading electric and gas utility company serving more than 2 million people in the city. The Capital Grid project was initiated due to increased demand and a need to replace aging grid infrastructure and increase transmission capacity in the District of Columbia and Maryland, to address current and future energy needs. The upgrade will also help build grid resilience to withstand and recover from unforeseen events such as severe storms. It has been famously said that, “everyone talks about the weather, but no one does anything about it.” In a variety of locations around the US, ABB, as a partner of choice for a stronger, smarter and greener grid is actually doing something about the weather.